St Barnabas supports CMS mission partners Ben and Katy Ray who are serving in the Diocese of Ruaha, Iringa, Tanzania. They are heading up Neema Crafts, which provides crafts training for deaf and physically disabled people. The crafts are then sold via their shop and website www.neemacrafts.com. The project also includes a Guest House and Cafe, all run by disabled people. Their fisrt child - Zachary - was born in December 2013. Their second child - Alessia - was born in November 2015. Neema Crafts was set up by Susie Hart in 2003 to provide training and employment opportunities for people with disabilities in the Iringa region of Tanzania. It also aims to change negative attitudes towards people with disabilities in the local society. Ben and Katy took over from Susie and Andy Hart in 2011. Ben was previously a teacher at Monkton Combe School, Bath where he was head of Design and Technology. He studied Product Design and Manufacture at Loughborough University, and had previously worked in Tanzania on a number of development projects through his previous church St John’s, Blackheath. His long-held dream of setting up a manufacturing project that would provide vocational training for Tanzanians has found fulfilment through Neema Crafts. Katy studied Fashion and Textiles at Bath Spa University, and then worked as a freelance designer, with a studio based within Monkton Combe School. During her second year placement, Katy worked at Neema Crafts designing and training staff in print making. Whilst she was there she was inspired by the potential of the project and longed to see employees set up their own small enterprises using the skills they have learnt. Their calling to work at Neema Crafts It was when visiting Neema Crafts together in 2007 that Ben and Katy saw how much the work of the project resonated with their own calling. Having both spent their gap years working in rural Tanzanian villages, they were already aware of the extreme poverty in the country and its inevitable affects on the most vulnerable. So when they saw first hand how Neema Crafts was directly transforming lives, through providing training and employment and therefore giving a sense of worth to the most marginalised, they were inspired by the knowledge that projects like this did really make a difference. 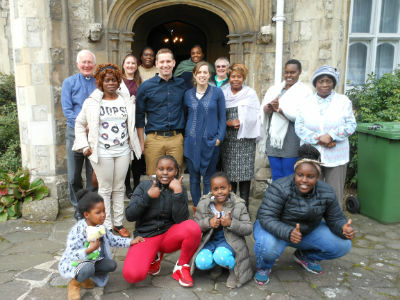 Ben and Katy Ray last visited St Barnabas in March 2018, to share about the work of Neema Crafts. 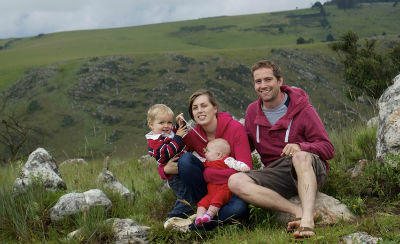 Ben, Katy, Zac and Alessia, returned to Tanzania in April for a third term of service.